Again this summer Nokia was visibly and physically present at music festivals across the Netherlands and Belgium. 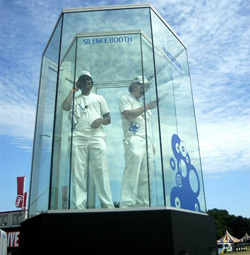 At the selected festivals Nokia installed a silence booth, which offered festival goers a place and a moment of silence while making a phone call. In the booth, users could use their own phones or try out Nokia 3250.